YAY!! Fabric Sale on again! Surprise! It's on again! 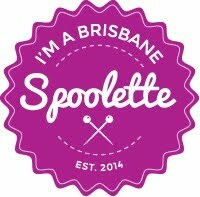 Make sure you go if you live in or around Brisbane. It is well worth the drive. The dress at work and dirty rotten heels!. The dress in action with my son and my Mum and Dad. Wearing the dress all day showed up some wearing flaws. The armholes are a bit small - easy fix as I only put bias around the armholes and drafted facings for the neckline (the pattern calls for a lining but I didn't think it necessary for a summer dress in a medium weight cotton sateen). The other problem is that the front is also too wide - I think it is the upper chest measurement - the one around where the arm are - I am really small there but apparently I think I am bigger when I sew. I can fix the armholes and will but the next iteration I will have to narrow it above the bust. I think I know how to do it. Finished my dress last night. I love it even though it is not perfect.I love the fabric - I really didn't want to wear black or a solid under that ugly cape thing we have to wear (what's that called?). When I made this dress last time I did a bodgy fix up - it was so wide in the back that I sewed up a seam in the back just so it looked decent, but unfortunately even though I measured and made a much smaller bodice at the top, it is still wide and should have some darts in the shoulders at the back. (but it's not too bad)I am SO small in the back I don't even think the size 8 would be small enough. Here's those pleats - doesn't look complicated does it but there is a double pleat underneath this middle pleat - not sure how much the complexity adds except fullness. Seams matching. I love how Burda patterns just sew up so nicely. I hope to make the jacket and skirt from this pattern also. I'll need to make some business worky clothes when I get a job. My graduation is on Tuesday at 2.30pm QPAC (Queensland Performing Arts Centre). I decided to make a dress. It's a pattern I have made before: Burda 7488. Those pleats at the front - they're complicated. It is one on each side, then two in the middle and then the two in the middle overlap... this dress is pretty simple except for that and the instructions are appalling for that part. The rest is pretty straight forward. Instead of putting the zip in the side, I have added seam allowance and cut the back in two pieces to put it in the back. That's not perfect as it will add another seam and disrupt the beautiful middle back bodice piece but the zip in the last dress I made with this pattern really bothers me under my arm.